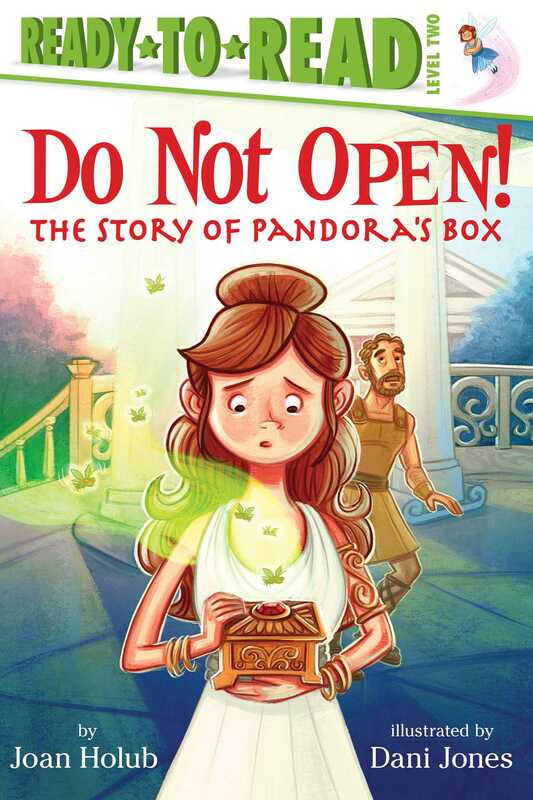 Learn the story of Pandora’s Box in this beautifully illustrated Level 2 Ready-to-Read retelling of the myth, from Goddess Girls author Joan Holub! When Pandora receives a shiny, gold box that says “Do Not Open!” she is so curious that she ignores the warning and opens it! Hundreds of bugs are let loose to fill the world with trouble. Pandora feels horrible until she finds something else in the box that can help: a fairy called Hope. This Ready-to-Read retelling of the story of Pandora’s Box is an ideal introduction to mythology for beginning readers. Dani Jones is an artist and a writer. She went to Brigham Young University-Idaho and now lives in New Hampshire, where she works drawing for children’s books, comics, apps, and magazines. When she is not drawing, she is usually making a pie. Book Cover Image (jpg): Do Not Open!